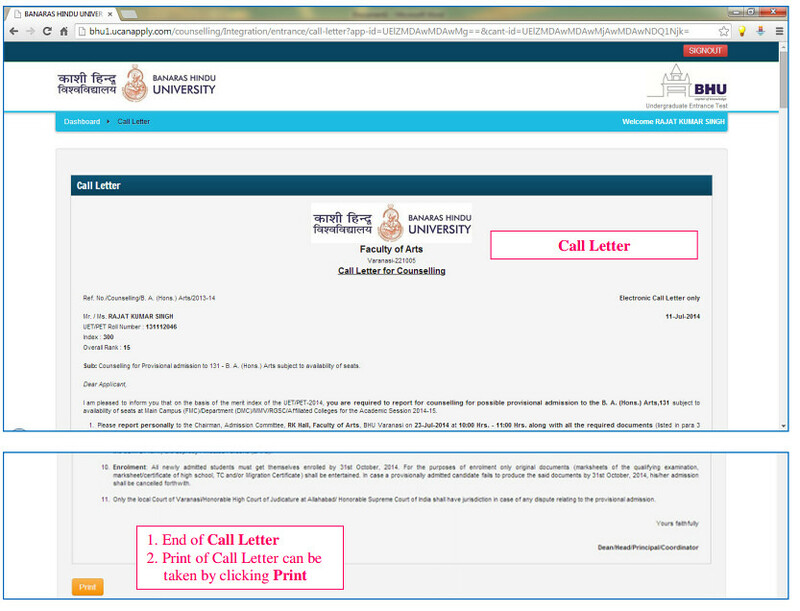 BHU Call Letter & Application Form 2019: Candidates will be able to fill the application form and access the call letter from the official website of BHU by log onto the candidate portal. It is mandatory for the qualified candidates to fill the “Preference Entry Form” from the official portal. The direct link to download the same will be available soon on this page. Through this call letter, candidates will be able to attend the offline counselling. It is advised to all the candidates to not to take a print of the preference form. Only download and take a print out of the call letter. 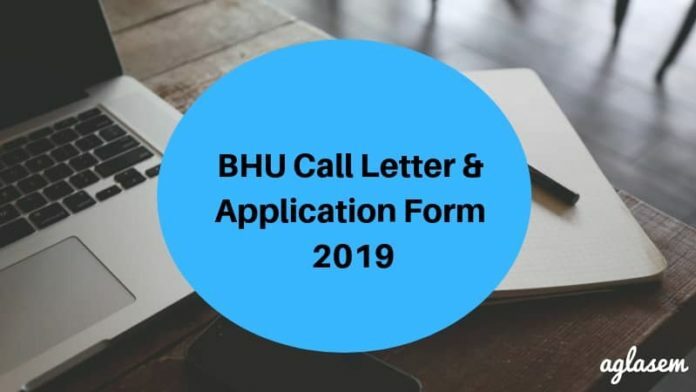 For more information on BHU Call Letter and Application Form 2019, candidates must scroll down. The University will provide the call letter only to the qualified candidates who have successfully filled the preference entry form. Candidates need to take the print out of the call letter at the counselling centre else they will not be allowed by the concerned authorities to attend the offline counselling. Call Letter: Candidates will get the call letter on the official website www.bhuonline.in. 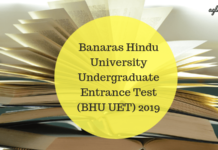 How To Get The BHU Call Letter 2019? 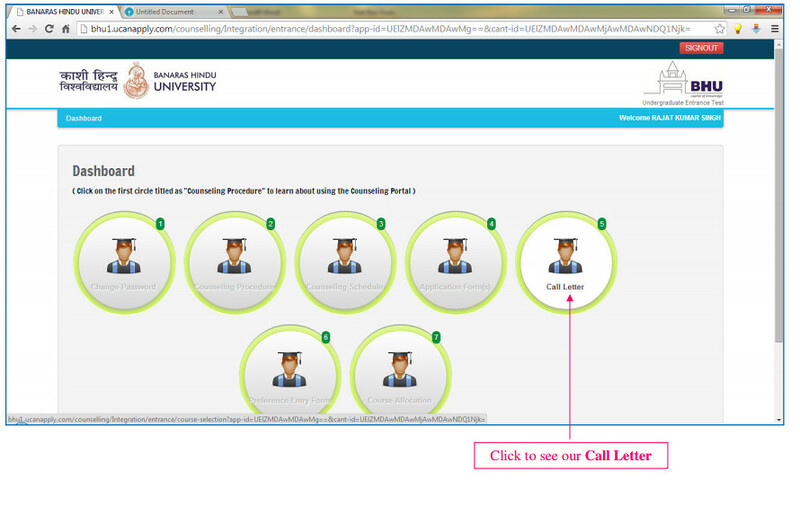 We have enlisted the steps for the appearing candidates to make them understand the procedure of accessing the call letter from BHU’s official website. Candidates must go through the steps for the same concern. Visit the official website www.bhuonline.in or click on the direct link from this page. Click on the “Counselling Portal”. 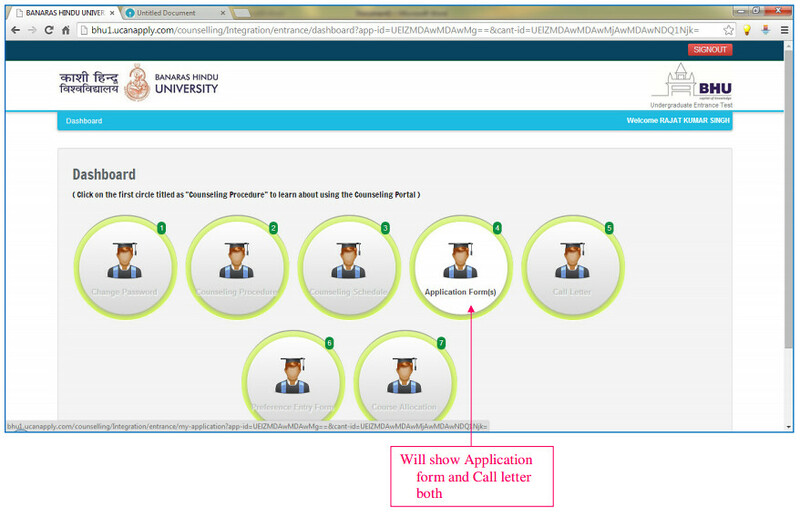 Select the course for which you have given the entrance test to log onto the candidate portal. Enter the asked credentials such as email and password. The dashboard will appear on your tour screen. Click on the “Preference Entry Form”. Fill the courses of your choice as per the priority of the admission. In case, if you need the hostel facility, do mention it while filling the form. Enter 10+2 marks as the qualifying marks. You will be given another chance to change your preferences during the counselling. The call letter will appear on your tour screen. Download and take a print out of the call letter to attend the offline counselling on the prescribed date and time. 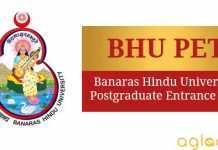 The application form for the BHU entrance examination is available on the official website www.bhuonline.in. Candidates are advised to fill the asked credentials diligently and correctly. Also, check the eligibility criteria first before applying for the same. The application invite of the non-eligible candidate will not be accepted by the University as any circumstances. 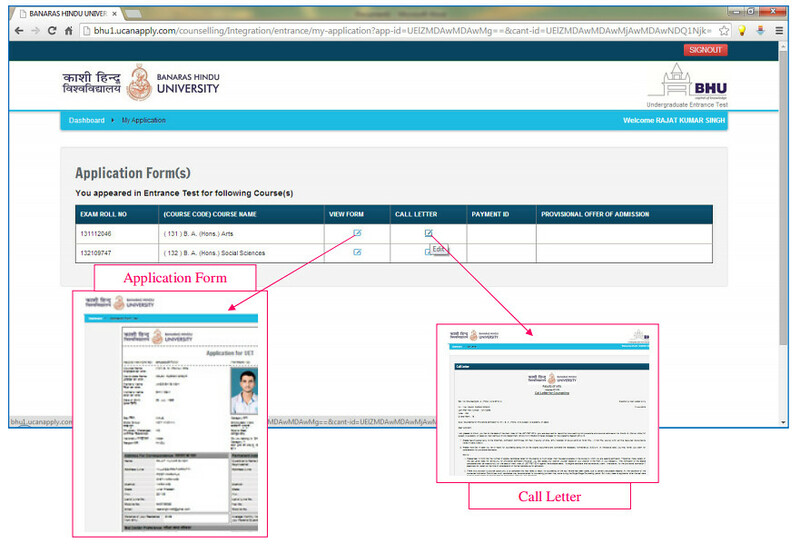 Make sure that the details candidate fill will be authorized and accessible. Sir, mera obc female me 62 rank hai . kya mera admission ho jayega…. and my counseling date is 11/07/2018, but am not Recived any counselling letter today at the date of 10/07/2018. sir i got 1661 rank in female general. will i get admission?? i still didnt recieve the call letter. help me find it out. For which course you are asking? sir i got mail from BHU for MCA counsilling call letter,but i’m not able to download it .Help me please.